A brand is a total experience. It goes beyond a logo, letterhead, and a few colors to become a visual statement of who you are and what kind of community you want to create. Inspired by the members and the diversity of the museum profession, the Association of Midwest Museums’ brand was developed to tell their story. 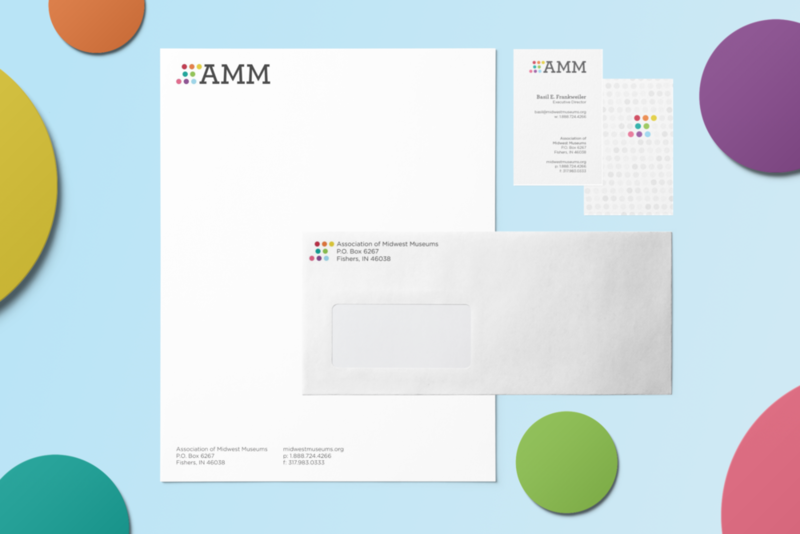 With vibrant colors, accessible fonts, and a clean structure, the brand represents the AMM mission and energy. The Association of Midwest Museums is a diverse organization of museum professionals from across eight states, and its members work in a variety of capacities at all types of institutions. 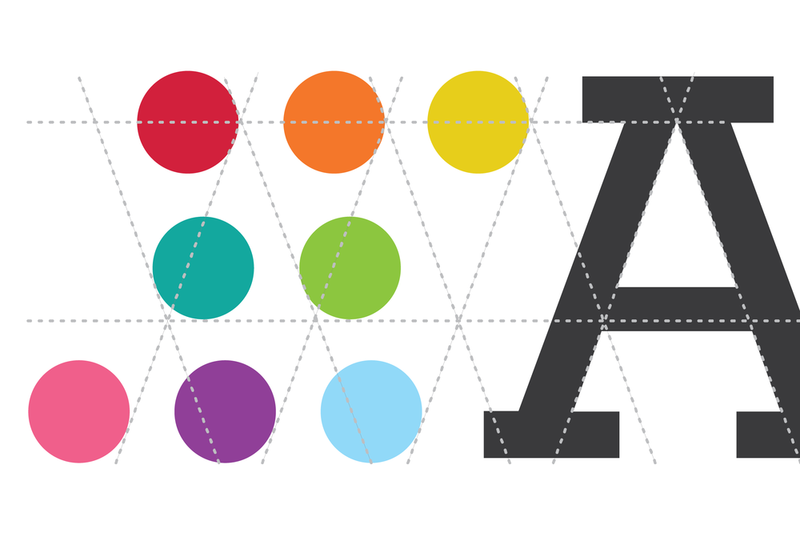 This diversity is celebrated by the eight colorful circles preceding the AMM wordmark. This combination allows the logo to be approachable yet professional, speaking to the greater values and mission of the Association. 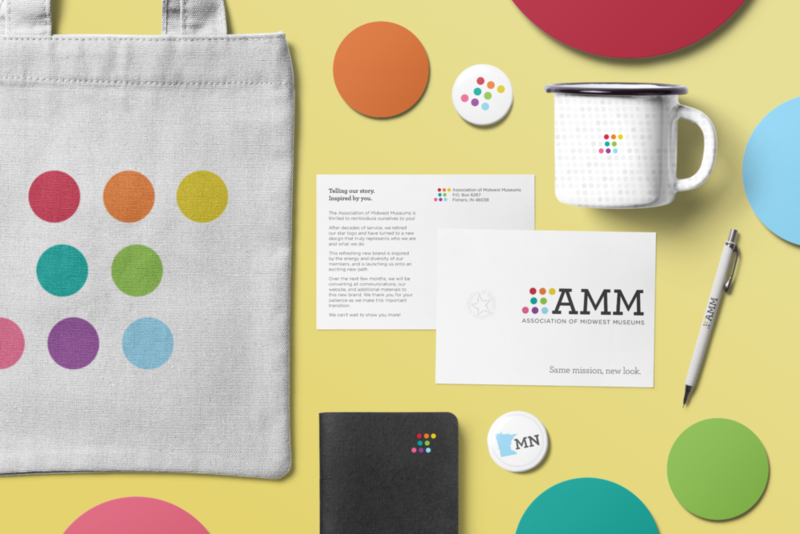 I designed two color palettes to reflect and celebrate the incredible diversity found within AMM. With neutrals to carry information and bright colors to organize it, this wide array of colors represent a vibrant and exciting organization and allows for flexibility as the organization expands programming. The Archer family, a formal yet friendly serif font, was chosen to convey both the professional and approachable side of AMM. Archer is a joyful typeface and when used to headline text, it sets a tone of enjoyment and inclusivity. Employed for its readability, Gotham Rounded is the everyday typeface for large amounts of text. It delivers information clearly and in the same spirit as Archer, and when used as a pair, the two lock together to create an accessible block of information. The Association of Midwest Museums (AMM) works to connect museums across the eight-state region of the Midwest, including Illinois, Indiana, Iowa, Michigan, Minnesota, Missouri, Ohio, and Wisconsin. Their mission is to strengthen museums in the Midwest by providing nationally relevant, regionally specific programs, products, and networking opportunities. Through programs and activities, AMM encourages professional standards for all areas of museum administration and provides cutting-edge information and resources to museums and cultural institutions in the Midwest and the greater museum community.